Take a gander at what being a Theocrat means exactly in AoW3. In case you don't have 19 minutes to watch this guy describe this new class, I'll break it down for you. Theocrats wield spirit powers to improve their units and harm or debuff opponents. Aside from holy spells, they also get special devout units such as Martyrs, crusaders, and even winged, halo'd fighters. 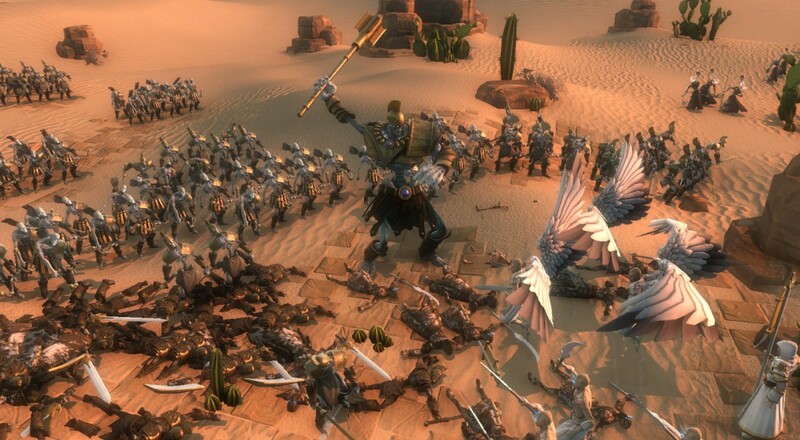 Since you can be a Theocrat with any faction, you too can have angelic-looking goblins or crusader orcs. Not all Theocrat spells effect battle, such as the Beacon of Faith, which helps a city enjoy a growth surge. I'm not entirely sure how a monument inspires a population boom, but hey, go for it. The new class-based system aims to breathe life into the long-dormant franchise. The final class, Warlord, has yet to be detailed but we should be seeing more information about that as the game releases on Steam March 31st. Page created in 1.4536 seconds.